But choose them right, and do it fast! 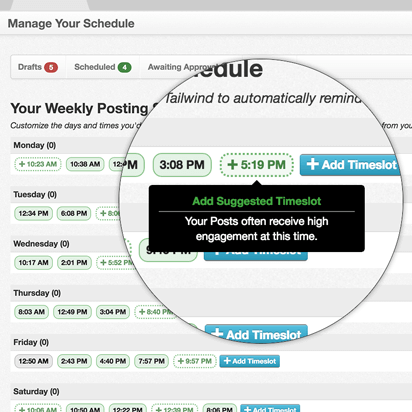 With their exclusive Hashtag Finder, Tailwind for Instagram becomes the only Instagram scheduler that recommends the best hashtags for your posts as you type, helping you reach more of the right people, by using the right hashtags.PLUS now you can schedule your Instagram posts and have them published automatically by Tailwind! This is a game changer that makes managing your business account so much easier. This post was originally published on May 9, 2017, and updated July 18, 2017 and February 16, 2018. I’m a Tailwind affiliate and will receive a referral fee if you upgrade to a paid account. Thanks for your support of my free content! Good Hashtags Are Hard to Find – But SO Important! Hashtag research can be so difficult and time consuming that most people only scratch the surface, or give up before even trying. That’s a shame, because hashtags are one of the best ways to organically grow your reach on Instagram. Starting with a single seed hashtag, Tailwind will recommend other relevant and related hashtags, color coding them so you can differentiate “good” hashtags from “best,” “niche,” or highly “competitive” ones. With one click, you can add any chosen hashtag to your post, at which point Tailwind’s Hashtag Finder instantly refines its recommendations! This tool turns what was once a time-consuming and baffling research process, into flat-out fun. Before you know it, you’ve got the perfect portfolio of popular and niche tags for your post, including a bunch of new ones that you’d never have thought up on your own. The handy hashtag counter even counts up the hashtags on your caption as you go so that you don’t have to, letting you know if you exceed Instagram’s 30 hashtag limit. Trying to find the right hashtags on Instagram is so time consuming and if you don’t nail it, your post can fail. I’ve seen The Tailwind Hashtag Finder in action and I am beyond – way beyond – excited to get my hands on it! To sign up for a free TailWind trial, click here. Cost after trial: $9.99 per month, paid annually. Once you’ve found all of these great new hashtags for your post, you’ll want to remember them for reuse in the future. Tailwind’s Hashtag Lists feature is the perfect complement to the Hashtag Finder. Use it to quickly import your hashtags into a list, save the list with a distinctive name, and add those same hashtags to any future post with just a few clicks. What About the Instagram Shadowban? 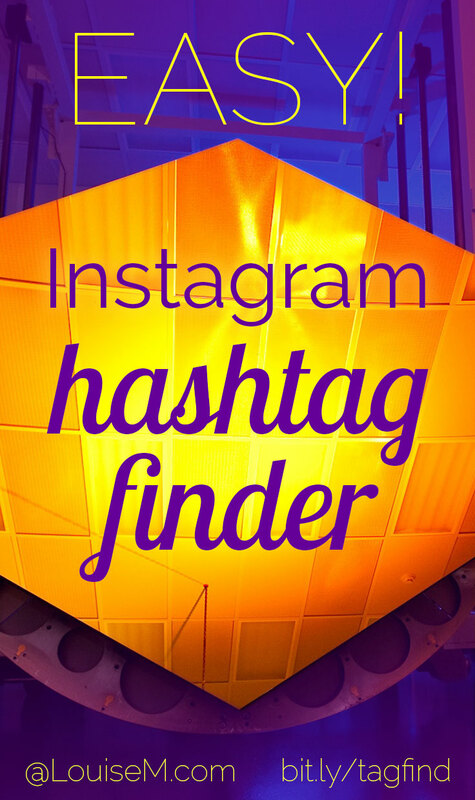 Tailwind's Hashtag Finder will only suggest hashtags that are allowed on Instagram. Now you can expand your reach to potential followers and customers on Instagram, without the risk of being shadowbanned for the wrong hashtag. 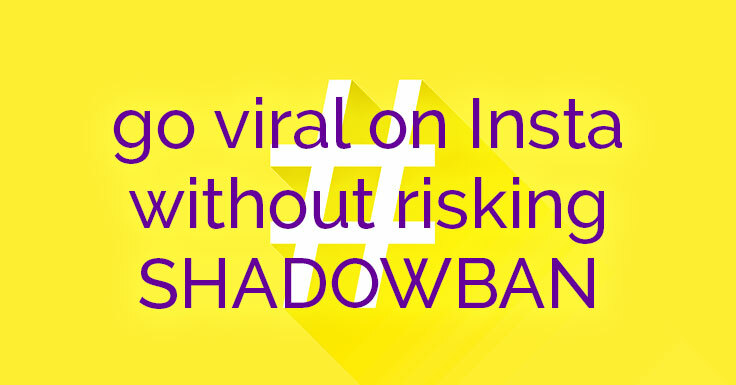 A shadowban hides your Instagram posts from users who don’t follow you, which can be detrimental to growing your account and getting more followers. I've even had readers say they can't find their own posts in the hashtag feeds! This could also be due to shadowban. Or, as IG calls it, "issues with hashtag search." Instagram doesn't admit there is such a thing, by the way, so don't expect to get help from them. You can use the "Report a Problem" feature in your account settings under "Support." I no longer get a reply when I do this, but it can't hurt. I would suggest saying "my post isn't showing in the hashtag feeds" and not use the word "shadowban." Repeated use of the same hashtag group within 24 hours. Using "broken" or banned hashtags. Sometimes a normal, everyday hashtag can be banned. Popular tags are often used on content that violates IG community guidelines. Then Instagram might block the hashtag outright, meaning you can’t even search for it on IG, or they’ll limit the posts shown in that hashtag feed. With the shadowban, it appears that even if you use a single banned hashtag in your post, Instagram will prevent your post from appearing on any of the hashtags you used! So, you could search each hashtag feed individually for evidence that a tag is broken or banned. Don't use those! OR, just make your life easier by using Tailwind's Hashtag Finder! It will give you fresh, related choices so you're not repeating the same hashtag group, and it will only suggest tags that are Instagram-approved! Tailwind's Hashtag Finder tool just got an exciting update. You can use Hashtag Finder on the Tailwind iOS app! Now it's super convenient to add hashtags last minute as you publish to Instagram. 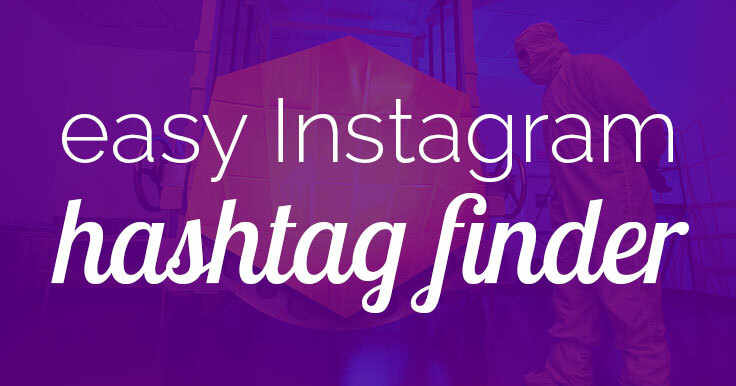 Hashtag finder suggests the most effective hashtags for your Instagram post based on the hashtags you’ve already added. Color coding makes it easy for you to choose the best ones to add. To start using it today, just install the latest version of the Tailwind app on your iPhone. Up to now you've only seen a handful of the most relevant suggested hashtags in Hashtag Finder. The new shuffle feature in the app gives you access to every hashtag suggestion they have, and updates those suggestions as you add more hashtags. Hashtag heaven! Hashtag features don't have you convinced yet? Now you can schedule your IG posts and have them published automatically! Instagram just released their new API to approved partners only. Tailwind is one of the few companies allowed to offer this feature, and one of the first to implement it. 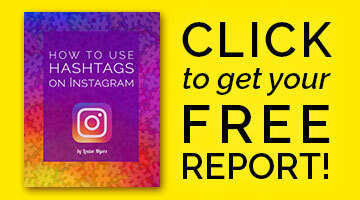 CLICK to try out auto-posting and the Hashtag Finder for 30 IG posts, free! Or, learn more about Instagram auto-posting here. I love to recommend tools that work – and Tailwind fits the bill! Tailwind for Instagram members grow Likes per Post five times faster than non-members. Tailwind attributes much of this success to intelligent recommendations that their tool generates from billions of visual social media posts. Like their Smart Schedule, that guides you to post when your followers are most engaged. 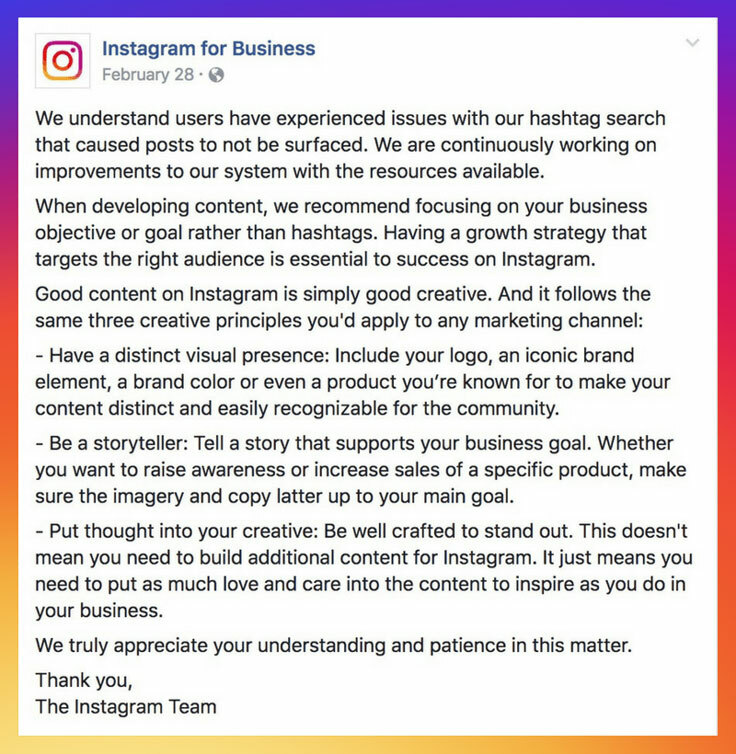 Couple the best time to post for engagement with a full complement of the best hashtags for a powerful way to maximize your organic exposure on Instagram. Tailwind has focused on strategies proven to impact long-term success. As an official Instagram Partner, they comply with Instagram’s Terms of Service, so you know they’re keeping your accounts and your personal information safe. I'm an affiliate for Tailwind, which means that if you purchase a plan, I'll get a referral fee. Interested? Sign up for a free trial today and try Tailwind’s Instagram Hashtag Finder for yourself. What about the algorithm’ not liking third party posting? Would this affect your possible reach? Thanks! I think that’s a myth based on accounts that auto-post and don’t engage. So it’s their lack of engagement that’s actually hurting their reach. I found out about Tailwind only from your post. It is really very helpful app! It saves my time a lot. I don’t need now to think much about suitable and popular hashtags. Be sure you’re not using super popular hashtags as those attract a lot of fake, “bot” followers. The follows you lost were probably fake. There’s just way too much to say about followers but you can find the course I recommend on my resources page. I wish Tailwind worked for Androids! Yeah, I agree, that would be a great option.